(Al Hartmann | The Salt Lake Tribune) The administrator for the Centers for Medicare and Medicaid Services, Seema Verma, right, takes questions from seniors at AARP Utah State office in Midvale Monday Nov. 13. She is in Utah for a listening session to talk about about Medicare open enrollment, currently underway. (Al Hartmann | The Salt Lake Tribune) The administrator for the Centers for Medicare and Medicaid Services, Seema Verma takes questions from seniors at AARP Utah State office in Midvale Monday Nov. 13. She is in Utah for a listening session to talk about about Medicare open enrollment, currently underway. (Al Hartmann | The Salt Lake Tribune) Seniors Martha Collins, left, Jurubia Collins, Laura Owen Kierstead and Eric Wollesen were in attendance at AARP Utah State office in Midvale for a listening session and to ask questions to Medicare and Medicaid Services Administrator Seema Verma Monday Nov. 13. She is in Utah for a listening session to talk about about Medicare open enrollment, currently underway. (Al Hartmann | The Salt Lake Tribune) The administrator for the Centers for Medicare and Medicaid Services, Seema Verma, right, takes questions from seniors at AARP Utah State office in Midvale Monday Nov. 13. She is in Utah for a listening session to talk about about Medicare open enrollment, currently underway. (Al Hartmann | The Salt Lake Tribune) Seniors Bill Stone, left, and Lloyd Blackburn were in attendance at AARP Utah State office in Midvale for a listening session and to ask questions to Medicare and Medicaid Services Administrator Seema Verma Monday Nov. 13. She is in Utah for a listening session to talk about about Medicare open enrollment, currently underway. (Al Hartmann | The Salt Lake Tribune) The administrator for the Centers for Medicare and Medicaid Services, Seema Verma, right, shows an example of the new Medical Health Insurance at a question and answer session from seniors at AARP Utah State office in Midvale Monday Nov. 13. The new card doesn't reveal a social security number for privacy concerns. She is in Utah for a listening session to talk about about Medicare open enrollment, currently underway. (Al Hartmann | The Salt Lake Tribune) The administrator for the Centers for Medicare and Medicaid Services, Seema Verma, right, takes questions from seniors at AARP Utah State office in Midvale Monday Nov. 13. She is in Utah for a listening session to talk about about Medicare open enrollment, currently underway. (Al Hartmann | The Salt Lake Tribune) The administrator for the Centers for Medicare and Medicaid Services, Seema Verma, right, shows an example of the new Medical Health Insurance at a question and answer session from seniors at AARP Utah State office in Midvale Monday Nov. 13. The new card doesn't reveal a social security number for privacy concerns. She is in Utah for a listening session to talk about about Medicare open enrollment, currently underway. As Seema Verma talked to reporters in Salt Lake City on Monday, Taylorsville Republican Rep. Jim Dunnigan abruptly took several steps toward her and held up his hand for a high five. She slapped it. Not to be outdone, Gov. Gary Herbert did the same. It was a celebration of the federal government’s recent approval of Utah’s Medicaid waiver, meant to cover 4,000 to 6,000 poor adults without children. Verma leads the Centers for Medicare and Medicaid Services, which approved the deal. But the gesture also showed how Herbert and conservative lawmakers are thrilled to see a new-look Medicaid program under President Donald Trump, one they hope gives states like Utah — which refused to expand Medicaid to tens of thousands of Utahns under President Barack Obama — more flexibility on how to spend federal health care dollars. “I think it’s a new beginning,” Herbert said Monday at the Odyssey House, a drug addiction treatment center expected to treat more patients under the Medicaid waiver. 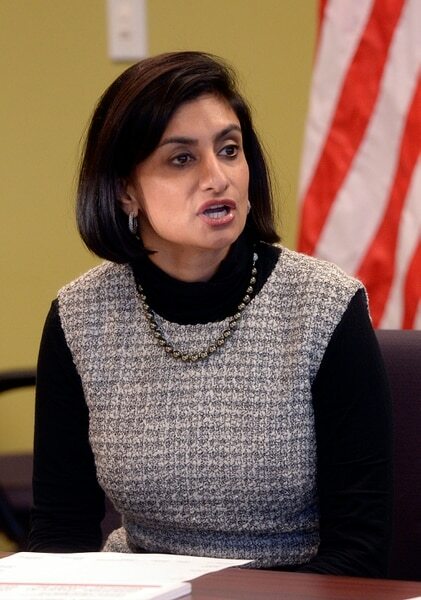 Verma on Monday announced her agency had approved the state’s waiver “implementation plan,” authorizing it to cover residential drug treatment using federal Medicaid money. According to the Utah Department of Health, drug treatment funding through Medicaid was previously limited to facilities with fewer than 16 beds. The new approval lifts that cap, allowing providers to drastically boost their drug-treatment bed numbers in coming months. Officials have said the Medicaid waiver and accompanying federal funding is critical for the success of Operation Rio Grande, the effort to crack down on lawlessness in downtown Salt Lake City and provide services for mental health and drug-addiction treatment for the homeless. Trump’s declaration last month naming the opioid crisis a public health emergency, Verma said, effectively gave her agency the green light to sign off on Utah’s waiver. About half of those receiving treatment in Odyssey House’s residential treatment program report their primary drug of choice is opiates, said Christina Zidow, the organization’s chief operating officer. Another 20 percent, she said, say their second choice is opioids. Verma’s visit to Utah came less than a week after she gave a speech to the National Association of Medicaid Directors, blasting the Obama administration’s approach to Medicaid. She criticized its opposition to work requirements for enrollees — something Utah has requested — and outlined how her agency would expedite similar state waiver requests, according to a Washington Post report. She echoed many of the same themes Monday, saying she does not think Medicaid should be used for “able-bodied individuals,” and that it should be only a temporary solution to health care for most recipients. Herbert said Medicaid funding should be doled out to states in a block-grant format in order to give them more flexibility. “Let us decide what program we want to have. That’s something I’d like to see if we could explore with this administration,” he said. Verma, state officials and several Odyssey House representatives met Monday in a new 25-bed substance abuse addition the organization was planning to open Wednesday — and fill with residents quickly. Carpet was still being installed Monday as construction workers moved around the facility. Zidow said Odyssey started the project three months ago with the hope the federal Medicaid money would come through. “We did it on faith,” she said. Over the next year, she said, the organization plans to nearly double its number of residential drug treatment beds, from 116 to about 220. Other similar Salt Lake County facilities also plan to add beds using the Medicaid funding. State officials say they hope there are 250 treatment beds available across the region by early 2018. The number of people expected to be covered by the waiver is only a “flash in the pan” compared to the larger population of poor Utahns who could benefit from drug addiction and mental health services, Zidow said. State officials have acknowledged they will likely reach their funding limits and be forced to close enrollment before all eligible candidates get coverage. 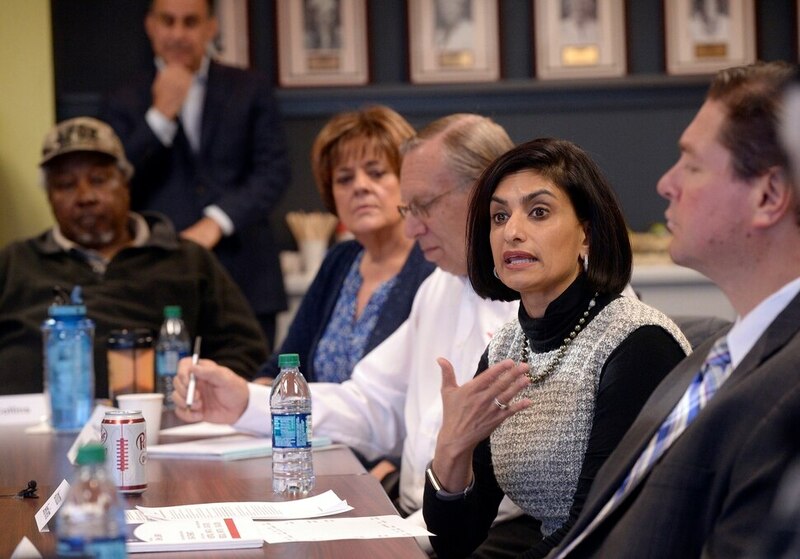 In a roundtable session earlier Monday, Verma met with about a dozen Medicare enrollees to hear their concerns and promote the open enrollment period, which runs through Dec. 7. Enrollees said they worry about a lack of Medicare providers in rural Utah communities, and Verma discussed ways her agency is trying to make the program more efficient. She also said the agency would be sending out new cards to Medicare recipients next spring — the current ones have the person’s Social Security number printed on them and are ripe targets for identity theft.